Happy National Tree Lighting Day! President Coolidge lit the first national Christmas tree on the grounds of the White House in 1923. It was chosen in Vermont, his home state. And it was the first White House tree to be decorated with electric lights. There has been a national Christmas tree on the White House lawn every year since then. In 1981 President Reagan made the first official White House ornament available for purchase so the people could have a piece of history on their own trees at home. 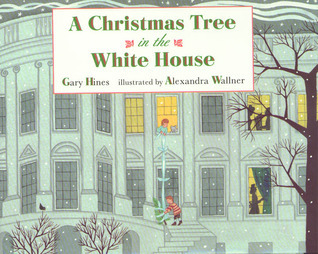 Based on historical events, this story tells about a small Christmas tree which was secretly hidden in the White House. President Theodore Roosevelt loved his six children very much. But when he told them one year that he would not allow a Christmas tree in the White House because of his conservation views, his two youngest boys were so disappointed they snuck a small tree into the house and hid it in their closet. When their father found out what they had done, he took them to visit Gifford Pinchot, the chief forester. Surprisingly, Pinchot told the president that sometimes removing small trees from the forest is actually a good idea. It leaves more room and resources for larger trees to grow bigger and stronger. So the boys were allowed to keep their Christmas tree in their bedroom and the whole family gathered there on Christmas morning to exchange gifts. Pyn’s papa, Oother was a huge gruff man. 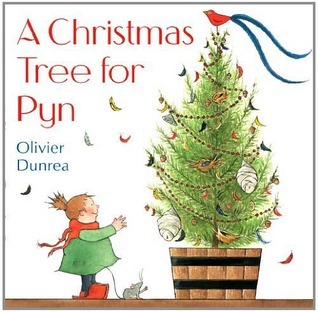 When Pyn asked her papa for a Christmas tree, he only said ‘we’ll see’. On the morning of Christmas Eve, Oother stomped out of the house and Pyn left soon afterwards, in search of a Christmas tree. When Oother saw her, he pulled her up to his shoulders and carried her into the woods. Pyn found the perfect tree and Oother felled it in only three whacks of his ax. At home, Pyn found all the things she had collected that year to decorate the tree, wasps’ nests, birds’ feathers, broken eggshells, and large acorns. Oother saw how beautifully she had decorated the tree and his heart softened. She reminded him so much of her mother. Oother clomped down the steps to the cellar and came back with a box for Pyn. Inside was a delicate bird made of real feathers to hang on the top of the tree. He had made it for her mother, and now he gave it to Pyn. That night he tucked his daughter into bed and wished her a merry Christmas. The reader is asked to imagine what kind of Christmas tree they would be. Some ideas include a tiny wedge of cheese in a mouse hole, a beacon on the top of a lighthouse, a costume in a choir, or a parade balloon. One could choose to be a tree decorated just for dogs, or cats, or horses. 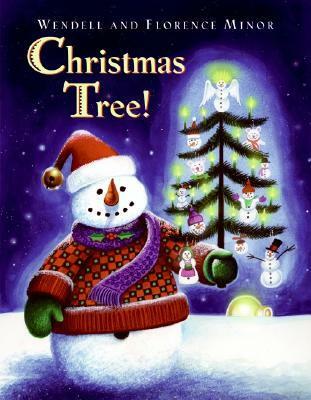 But the one tree that is deemed best of all is the one in the front window of your house. 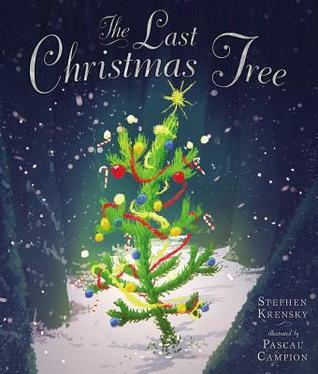 This collection of poems brings the joy and spirit of Christmas to readers on every page. Some of the poems’ titles include, The Box, Angel, Jingle Bells, House Calls, Mistletoe, and Christmas Eve. 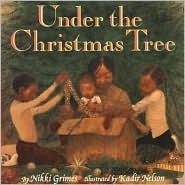 My favorite might be ‘Under the Tree’, a poem about a child noticing a glow under the tree, the smell of myrrh or frankincense, a cradle, hay, the sound of animals mooing and braying, then the touch of a dog’s tongue licking her face and the feeling of waking up, then running to check under the tree. Can others see what this child sees?